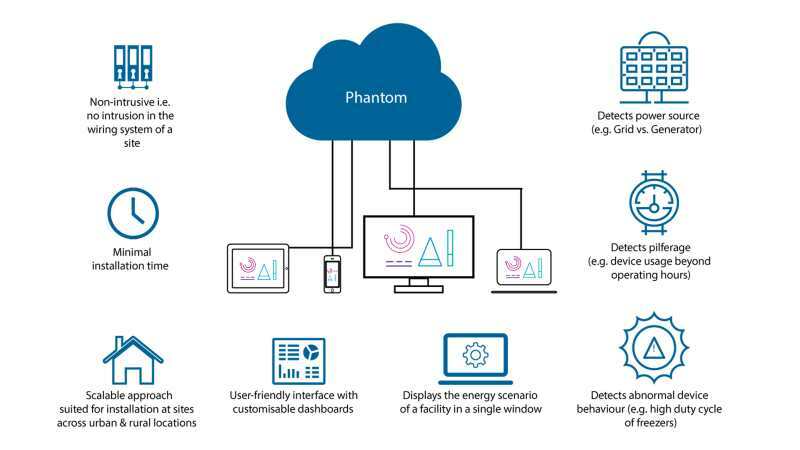 Here’s why we believe Bosch Phantom, a non-intrusive load monitoring solution, can do a lot more than just monitor energy consumption of machinery and devices. Energy cost is a major overhead for manufacturing units. There is a lot of wastage due to idle machinery that’s powered on, or faulty machines consuming energy in an erratic manner. Studies show that SMEs (Small and Medium Enterprises) contribute more than 40 – 45% of manufacturing output in most countries. Keeping these two facts in mind, Robert Bosch Engineering and Business Solutions Private Limited created a solution aimed specifically at SMEs called Phantom. The solution was launched at the Bangalore Tech Summit on November 30. 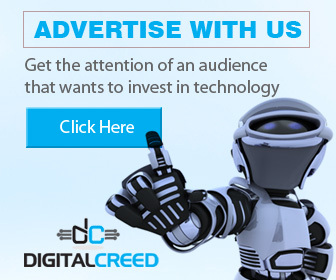 It has also been nominated for CES 2019, the consumer electronics show in Las Vegas, this January. 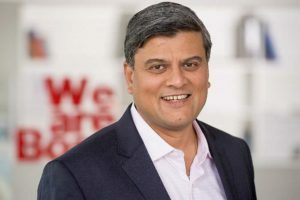 DIGITAL CREED spoke to Dattatri Salagame, Vice President, Digital Business, Robert Bosch Engineering and Business Solutions Private Limited to find out the genesis of this solution. What exactly is Bosch Phantom? According to the Bosch Website, Phantom is a non-intrusive load monitoring (NILM) solution. There are multiple devices and machinery in factories that consume electricity with varying usage patterns. Bosch Phantom will study the energy signatures of these devices and monitor consumption patterns. However, the data that this solution generates can tell you a lot more about the machines it monitors. “When a correlation is drawn between the various operating parameters in the machine and the electrical signals, one can draw various inferences,” said Dattatri Salagame, Vice President, Digital Business, Robert Bosch Engineering and Business Solutions Private Limited. Apart from measuring energy consumption, what other parameters does it measure? Energy consumption is just one of the parameters that Phantom measures. There are efficiency parameters such as machine downtime and other performance parameters. “It tells you why the machine was slow or for how long was it down,” informed Salagame. Moreover, if Phantom is attached to all machinery on the shop floor, one can have complete visibility of all industrial machine assets with real-time data on performance. With this information, one can also monitor the health of machines and do proactive maintenance for something that is going to fail. And that’s what makes Phantom an intelligent asset management solution. But what about older machines? Can it be retrofitted on these? “Some older machines do not have PLCs, and so you can’t monitor their operating parameters,” said Salagame. He claims Phantom can even be retrofitted to these older machines, as long as they run on electricity. That’s because Phantom is connected only to the electrical feed lines to the machines (supply side). How does one attach a Phantom box to machines and devices? Phantom is a solution in a box and a cloud platform. The box is connected to a machine by clamping two wires to the cables supplying power to the machines. It sits quietly next to the device and monitors its performance and energy consumption patterns, non-invasively. Salagame informed us that Phantom is a non-intrusive solution, which means you don’t have to open a machine, cut wires and attach something to every component in the machine. “The Phantom box is at the source side of the electrical signals, and it intelligently figures out what is happening in the machine,” he said. When Phantom is connected to the machine, it samples the electrical signature thousands of times a second. That’s the heartbeat of the machine. 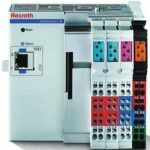 “There are algorithms in the box that can draw correlations between the electrical signature and the various operating parameters of the machine. A lot can be inferred from the data that is generated via the cloud,” informed Salagame. Phantom connects wirelessly to the cloud. The user can then view this data via dashboards. Since it has AI algorithms in the box, it is capable of doing processing and, is therefore, an intelligent edge device. Why is it considered an innovative solution and something unprecedented? Before Phantom was invented, getting data out of a machine meant fitting IoT sensors and PLCs to various components in the machine. Although the price of sensors is dropping, there is a cost of ownership issue to be addressed — it is still quite expensive to use IoT sensors. For instance, a modern aircraft engine has hundreds of sensors mounted on different components within the engine, to detect various operating parameters. It is also quite cumbersome to fit these sensors on the machine, as one must open up the machine, cut wires, and solder components. The sensors must also be calibrated, and the machine data needs to be analysed, usually on the cloud. This takes some time, and therefore the data is not real-time. Phantom is an edge device with built-in AI algorithms, so the analysis of data occurs instantaneously. The results are sent to the cloud, and the factory supervisor can view this data via dashboards. Phantom also has predictive analytics capabilities, meaning it can predict when a component is going to fail. Something like this has never been done before. It’s a non-intrusive solution that’s easy to install. So that’s what makes it an innovative solution. The foremost issue to be addressed for SMEs is the cost of ownership. Secondly, SMEs want simplification – in the deployment and operation of new technology. So there are two issues to be addressed – cost and skills. Phantom addresses both issues very well. It takes a few minutes to attach a Phantom device and set it up. It is sold as a service, making it affordable for SMEs. According to a Bosch press release: Phantom provides a platform for SMEs to begin their Industry 4.0 journey using advanced analytics, machine learning techniques, and a high degree of automation. Phantom supports SMEs to prepare digital transformation roadmaps for their manufacturing plants, machine intelligence and energy analytics. Apart from Manufacturing, can it be used in other industries? Other industries such as healthcare and agriculture have also been using IoT, and therefore, Phantom also has potential applications in those industries. “We are a deep engineering company solving some of the most complex problems in the world. For instance, autonomous driving is a very complex problem. We are leveraging AI to solve the most complex problems. You can use this paradigm for other industries, like agriculture, healthcare, industrial manufacturing, or mobility services/next-gen mobility,” said Salagame. Bosch is using its deep engineering experience that spans 130 years to solve problems across industries by redesigning their business models on a new paradigm followed by technology. That’s deep engineering coupled with AI. “We approach digital differently. We are not joining the dots from the previous version of IT. This is engineered on a new platform. It is a new paradigm altogether,” concluded Salagame.